This document is an interactive form that allows you to enter information and print it. To fill out online, first you must download this document by clicking the link below, complete the information and print it to accompany the Best Doctors Application. You can also print off the blank form and fill out by hand. 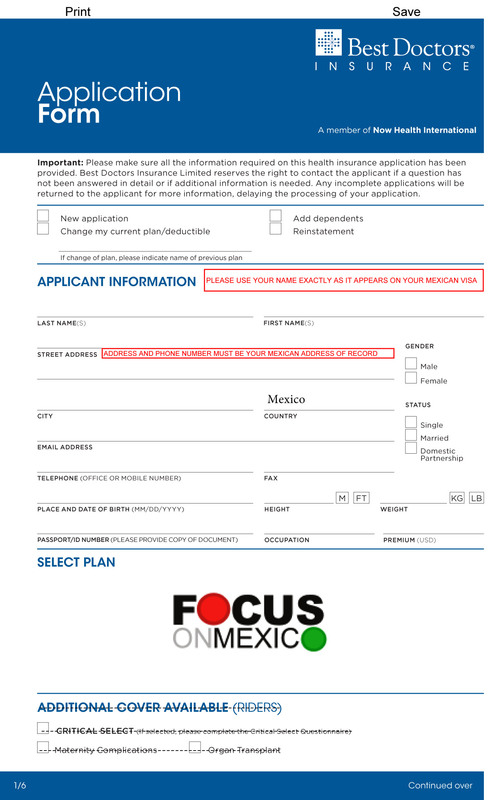 Page 1 This insurance requires you to live 6 months or more in Mexico, please put your MEXICAN ADDRESS (as per your CFE or Telephone Bill). Showing a U.S. or Canadian address will cause an automatic rejection.